Laminator.com offers 2 distinct options of laminating film for the School Laminating Film marketplace. Our standard School Roll Laminating Film is a Hi-Quality low cost alternative laminating film designed for the education marketplace. Ideal for most porous paper stock our School Laminating Film will adhere to most ink lay downs. Do not confuse this with a "VALUE" Film. This Hi-Quality Laminating Film is the same film that is also used in most offices, copy and print shops as it works great on a variety of substances. Temperature Range: 260-290 degrees. Our second option is a Premium Roll Laminating Film that is specially composed to offer a thicker stiffer feel. The difference is easily noticeable. This premium laminating film melts at a lower temperature range of 230-250 degrees saving wear and tear on your roll laminator. This film is comparable to GBC Nap-Lam II and Opti-Clear® laminating films and is offered at half the cost. Once you try this laminating film we are sure this will be your GOTO laminating film choice for your future laminating needs. Works with Thermal Roll Laminators from GBC, Banner, Ledco, USI, Sircle and more! Laminator.com offers quality 1.5 mil - 25" x 500' Clear School Roll Laminating Film. 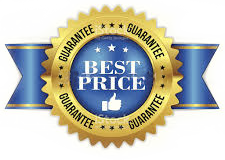 With Guaranteed Lowest Pricing plus additional savings with our quantity pricing offers nobody saves you more on school laminating film. Shop Online or Call Today! New Product Premium School Roll Laminating Film from Laminator.com. Specially composed to provide a much more rigid feel.1.5 mil - 25" x 500' Clear Premium School Roll Laminating Film on SALE - Laminator.com. Shop Online or Call Today! Laminator.com offers quality 1.5 mil - 27" x 500' Clear School Roll Laminating Film. With Guaranteed Lowest Pricing plus additional savings with our quantity pricing offers nobody saves you more on school laminating film. Shop Online or Call Today! New Product Premium School Roll Laminating Film from Laminator.com. Specially composed to provide a much more rigid feel.1.5 mil - 27" x 500' Clear Premium School Roll Laminating Film on SALE - Laminator.com. Shop Online or Call Today! Laminator.com offers quality 3 mil - 25" x 250' Clear School Roll Laminating Film. With Guaranteed Lowest Pricing plus additional savings with our quantity pricing offers nobody saves you more on school laminating film. Shop Online or Call Today! New Product Premium School Roll Laminating Film from Laminator.com. Specially composed to provide a much more rigid feel.3 mil - 25" x 250' Clear Premium School Roll Laminating Film on SALE - Laminator.com. Shop Online or Call Today! 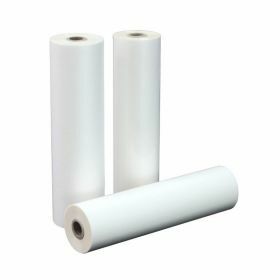 Laminator.com offers quality 3 mil - 27" x 250' Clear School Roll Laminating Film. With Guaranteed Lowest Pricing plus additional savings with our quantity pricing offers nobody saves you more on school laminating film. Shop Online or Call Today!